You can view my YouTube Channel right here or click on a video below. I am interested in selling items ordered from China via FBA. My wife, though, is very interested to learn about book selling via FBA, so I’ve forwarded your promotional e-mail to her. Since most of what we’ve seen is U.S. based, and as we live in the UK, our initial burning question is whether selling penny (or other books) on FBA is viable for us here. Yes, I know people that sell books in the UK. I’m just learning now how to do the bulk uploader for FBA. However, your video seems a little outdated as seller central does not look like that anymore and there are apparently multiple download files for book uploading. Could you do an updated video? I’m getting confused with the flat file templates as there are apparently two different ones for selling books? It still works today for media items (books, CDs, DVDs, etc). Just make sure you choose “inventory Loader File” when Amazon asks you which file to choose. Hi – what is the standard box size you send to FBA? 16 x 12 x 12 from Home Depot. They only cost around 70 cents each. 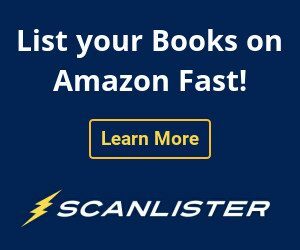 If I ship books to Amazon.ca in Mississauga Ontario, are those books listed for sale on Amazon.com as well as Amazon.ca? Or, to reach a larger buying audience, should I ship them to an FBA centre in the USA? They would just be available on Amazon.ca. Yes, you would need to open an Amazon.com account and send your books to an FBA warehouse in the US. I am wondering how sellers make money on Amazon selling books for a penny plus $3.99 shipping. They don’t make much. I personally will only sell a penny book if there a little or no FBA sellers. Then I will sell that book for $9.95 on FBA. Hi Nathan. Great information. So you personally will only sell a penny book if there a little or no FBA sellers… Then I will sell that book for $9.95 on FBA? I don’t understand. Here’s a video for further explanation. I am temporarily living in Australia so wouldn’t it be cost prohibitive for me to sell cheap books on Amazon.com? It would cost an arm and a leg to send them to Amazon. com, wouldn’t it? Yes, that situation would not be ideal. You may want to contact Barrington Mcintosh. He has a lot of good info on how to sell on Amazon.com from outside the US. 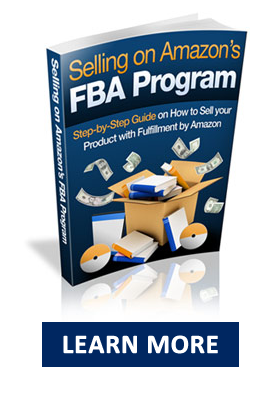 Hi Nathan, your book Selling on Amazon’s FBA programme is excellent. Please can you tell me if you put your books in a bag with an insert? Hello there. I do not put books in a bag with an insert. I just pack the books tightly into a box. I enjoyed your video re s. Carolina, am a previous amazon 3rd party seller, am writing from Israel, is fba possible from here? thank you. About your video on setting the initial price to $200 then after the shipment is received using amazon’s repricing to reset the prices. I tried that on a small shipment and all my books received pricing alerts and were de-activated. Is there some way around not getting pricing alerts? You have to set a min and max price on Amazon to prevent the pricing alerts. ScanLister has that feature built in, so you can set the default price at any number without worrying about deactivation. I’m not sure if any of the other listings programs have that. My husband has been selling FBA is doing well. 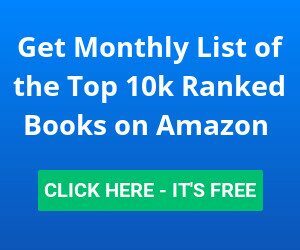 I have dipped my foot in the water for books and have had good success as a beginner in the brief time I have done it with minimal books listed. That being said and having owned a small business before (B&M) I know time is money and listing was a nightmare (so far I am having good success finding book). I came across your scan lister video. It all makes sense now. Ordered my scanner as well. My biggest question is, do you not wrap your books at all? That is so time consuming ! IF not, do you ever have quality issues with them sitting in an Amazon warehouse and getting dirty and or damaged or have customer complaints? 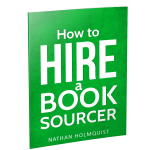 Also, do you think the repricing tool is worth it for a beginner like me with 200-400 books? I do not wrap any of my books. There’s really logical reason to do so. Amazon takes care of the books. If you have 200-400 books, your probably don’t need a repricer yet. You could use Amazon’s Match Low Price feature instead. thanks! I’m getting ready to order scan lister. 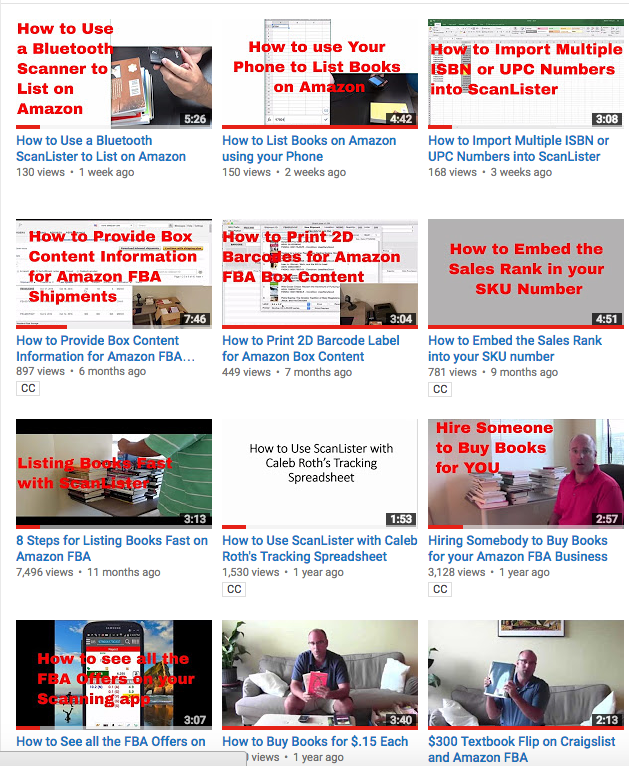 This may be covered once I get there, but if I am doing a bulk upload, and there is more than one FBA listing, how do I know which one it will post to? Thank Goodness for you and your website Nathan. 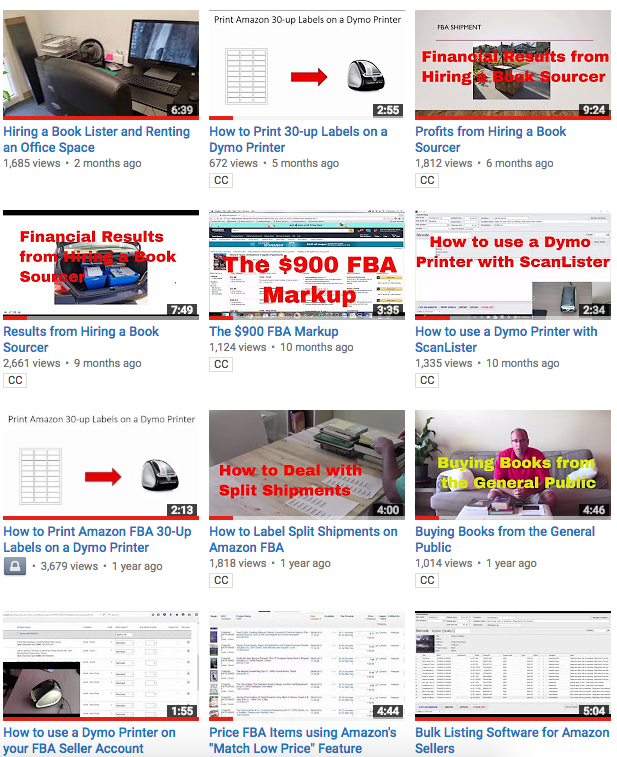 I have floundered around trying to figure out how to print FBA labels on my Dymo printer. Your YouTube vid is excellent but the “Barcode Label Printer.Com” software doesn’t seem to be available any more. Any help? 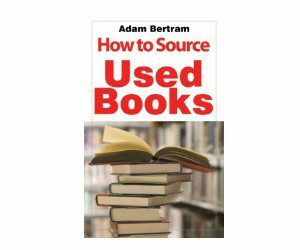 I need help selling used book on Amazon, I have spend a lot of money on programs that didn’t work. Please I need your help.